The Show Must Go Onboard! Cruise entertainment has really grown up. I endured lousy comedians and jugglers. I attended an hour-long zither concert. I watched production shows that made Richmond Hill High School’s “Sing ‘75” class competition seem like Broadway’s Hamilton. It’s a good thing I like to eat, drink, swim, and shop because some of the shows I caught during my early years of cruising could have brought my shipboard vacations to a screeching halt. And then something happened. Slowly … almost imperceptibly. The first time I enjoyed a show at sea was in the 1980s aboard Queen Elizabeth 2: a performance by Burt Bacharach and then-wife songwriter Carol Bayer Sager. And while “Raindrops Keep Falling on My Head,” Bacharach’s best known song, isn’t going to make it onto my iPod any time soon, it was the first time I realized onboard entertainment could actually be entertainment. Roger Daltrey: The Who’s front man gave the best concert I have ever seen, on land or at sea, during The 2014 Moody Blues Cruise aboard MSC Divina. In the first row of the balcony, right above the stage, I danced like a maniac not caring that I was blocking the view of the Moody Blues’ drummer who was seated behind me. Blue Man Group: I’d seen the billboards and ads yet entered Norwegian Epic’s theater unconvinced that a few guys stuffed into blue latex could hold my attention. How wrong I was. Hilarious … amazing … interactive. I left simply delighted to have been wrapped in toilet paper. Maybe you had to be there. Patrick Murray and Matilda: A ventriloquist and dummy aboard Holland America’s Maasdam … surprised? Not nearly as much as I was. I figured I’d bolt after five minutes but soon found myself smiling … laughing … crying as Murray and Matilda positively nailed the idiosyncrasies of the cruise experience. “How many light switches does a cabin really need?? ?” That line kills me every time. 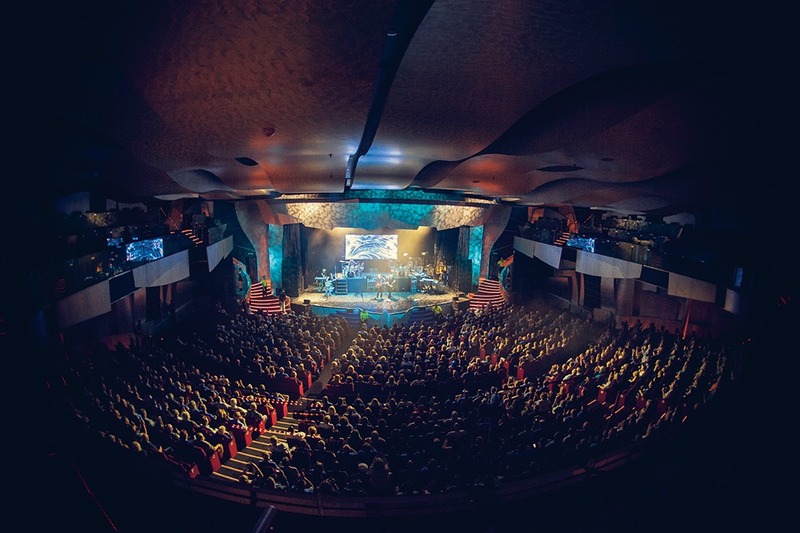 The Beatles Theme Cruise: A partial charter aboard Regent’s Seven Seas Navigator with performances by tribute band Revolution presenting a different era of Beatles history each night, including Sgt. Pepper, early Beatles and even an acoustic session by the pool. Bonus: Revolution member Tim Piper was the spittin’ image of John Lennon. Bill Medley: The surviving Righteous Brother performed as part of a 2008 Concerts at Sea sailing aboard Costa Mediterranea, not too long after Bobby Hatfield died. Footage of Hatfield on a screen above the stage allowed Medley to again perform “Unchained Melody” with his late partner — a moving opening to a delightful show. What were your favorite performances at sea? 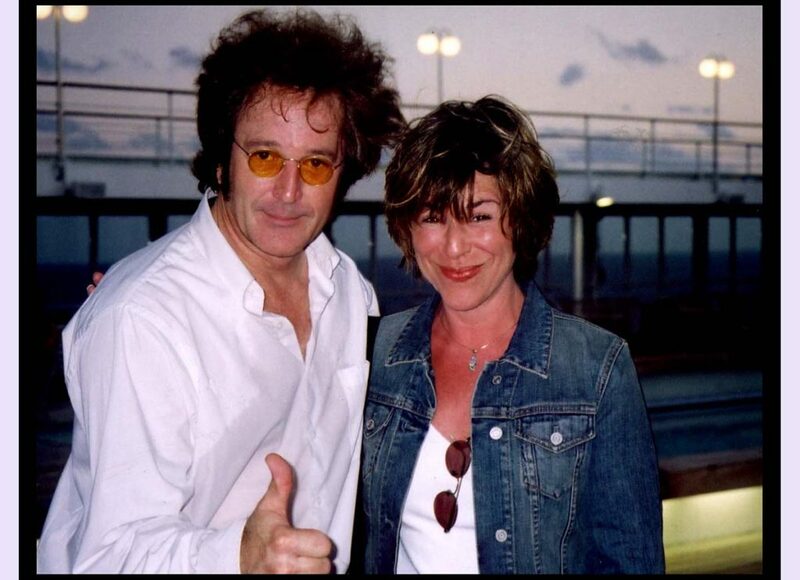 Oh yeah….Roger Daltrey on a cruise ship, that one’s tough to beat. We hope that one day you will tell us how exactly you got wrapped, delightedly, in toilet paper.